It is an extremely beautiful fruit that has dazzling flowers and an intense shape and color. 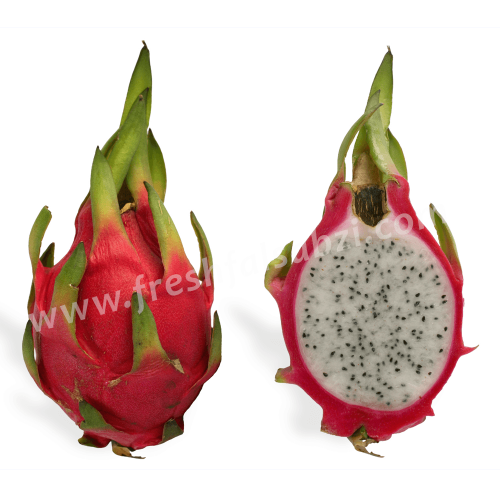 A Dragon Fruit is usually a dark red color, although some types of this are pink or yellow. The skin of the fruit is a thin rind. Its skin is usually covered with scales and the center of the fruit is made up of red or white, sweet tasting pulp. Benefits : Dragon fruit is both low in cholesterol and has little to no unhealthy cholesterol producing fats. The health benefits of dragon fruit fiber are just one other example of the reason that eating natural sources of nutrients is superior to getting them from pills and supplements Dragon fruit nutritional benefits also include the levels of dragon fruit antioxidants - the antioxidants in dragon fruit are numerous and varied.